BAGHDAD (AP) — Bomb blasts tore through two Baghdad neighborhoods Wednesday evening, killing at least 30 people including several members of a wedding party, and extending a relentless wave of bloodshed roiling Iraq. The attacks come as the country is experiencing its most sustained bout of violence since the 2011 U.S. military withdrawal. More than 500 people have been killed since the start of May. Wednesday's deadliest attack struck a commercial street in the mixed Sunni-Shiite Jihad neighborhood, killing 18 and wounding 42, police said. Many of those slain were in a wedding party that was passing by when the blast went off, according to authorities. The southwestern neighborhood was one of the earliest flashpoints in Baghdad's descent into sectarian bloodshed in the years following the 2003 U.S. led invasion. It housed mainly Sunni civil servants and security officials under Saddam Hussein's regime, though many Shiites now live there too. Many of Jihad's Sunni residents earlier this year received threatening leaflets from a Shiite militant group warning them to leave. The group, the Mukhtar Army, is not known to have carried out car bombings in the past. 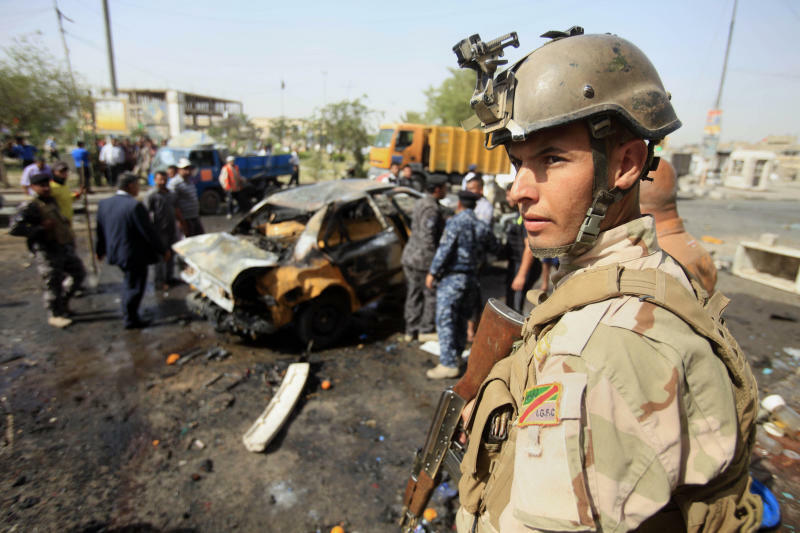 Another 12 people were killed and 31 were wounded when a roadside bomb and then a car bomb exploded near a market, killing 10 people and wounding 25, police said. Hospital officials confirmed the casualties. All officials spoke on condition of anonymity because they were not authorized to release the information. There was no immediate claim of responsibility for the attacks. Car bombings in civilian areas are often the work of al-Qaida's Iraq arm, which aims to undermine faith in the Shiite-led government. The surge in attacks in recent weeks is reminiscent of the sectarian carnage that pushed Iraq to the brink of civil war in 2006 and 2007. April was Iraq's deadliest month since June 2008, according to a United Nations tally that put last month's death toll at more than 700. 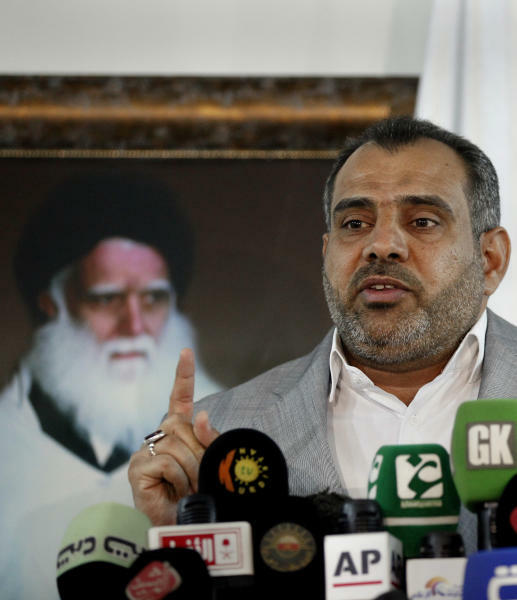 Earlier Wednesday, a senior member of an Iraqi Shiite militia that once fought the U.S. military warned that Iraq is heading toward widespread sectarian bloodletting similar to the kind that once pushed the country to the brink of civil war. 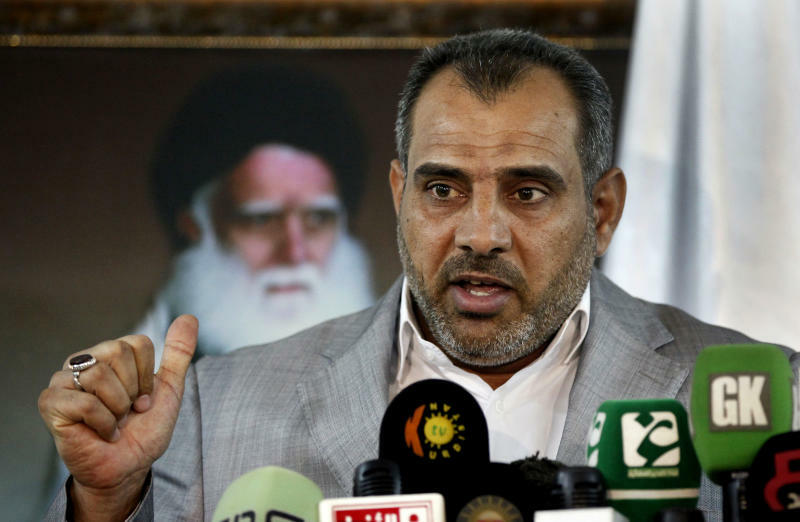 The head of the political bureau of the Asaib Ahl al-Haq group, Adnan Faihan, also said the militia is preparing to defend itself, but denied the group's involvement in a spate of attacks targeting Iraq's Sunni Arab minority. Iraq has been wracked by a wave of the most sustained violence the country has seen since American troops left in late 2011. The bloodshed, which includes coordinated car bombings blamed on Sunni militants as well as a string of attacks on Sunni mosques, is raising fears that Iraq is slipping back toward all-out sectarian fighting like that which nearly tore the country apart at its peak in 2006 and 2007. "We have major concerns. Because what is going on now is the same that led to what happened in 2006," Faihan told The Associated Press. "We are ready for it and we are ready to protect our people." Faihan made the comments on the sidelines of a press conference it held in Baghdad under heavy guard by camouflage-clad militia members. During the event, Faihan distanced the group from recent attacks against Sunnis, saying such allegations were the result of a misleading defamation campaign. He railed against what he called a Turkish-Qatari agenda to create sectarian strife again and to divide Iraq — a reference to Sunni countries many Shiites accuse of backing members of Iraq's Sunni community who have been holding months of protests against the Shiite-led government. Years ago, Asaib Ahl al-Haq — or the Band of the Righteous — broke away from radical Shiite cleric Muqtada al-Sadr's political bloc and has been trying to morph into a legitimate political movement. It said in late 2011 it was moving away from armed struggle after U.S. forces left but it has not handed over its weapons. It and the Hezbollah Brigades were among a group of Shiite militias backed by Iran that carried out lethal attacks against U.S. bases in the summer of 2011. Faihan on Wednesday also urged the Shiite faithful to defend the Sayida Zeinab shrine in Syria. The holy site outside Damascus has been a rallying point for foreign Shiite militants fighting alongside government troops loyal to President Bashar Assad, whose Alawite sect is an offshoot of Shiite Islam. "Our stance is ... not to interfere in others' internal affairs. But regarding Sayida Zeinab shrine, we've called on Muslims to go and protect it because any attack on the shrine will lead to bloody events in the region. So protecting this shrine is a must," he said. Also on Wednesday, Iraqi officials raised the death toll from attacks the previous day that shook Baghdad and towns north of the capital to 28. Police said the deadliest of Tuesday's attacks struck the southern Dora neighborhood, where back-to-back bombings killed nine people and wounded 10. Bombs in the eastern neighborhood of Sadr City and in the northern Shaab area killed 12 and wounded 33. Blasts and shootings in Tarmiyah and Mosul killed seven other people. Associated Press writers Adam Schreck and Sinan Salaheddin contributed.